A very fine pair of Chinese export porcelain early Yongzheng period armorial plates made for the English market, richly decorated and detailed with an elaborate central coat-of arms for the Frederick family, Baronets of Westminster, an early promoter of the South Sea Company. Measuring 8 3/4″ in diameter and in very good condition with only a small chip to the reverse of one.  Illustrated and discussed in Howard’s Chinese Armorial Porcelain, Vol. I, page 202, and we are grateful to Angela Howard of Heirloom & Howard for information she has provided. Circa 1724.